Rev. 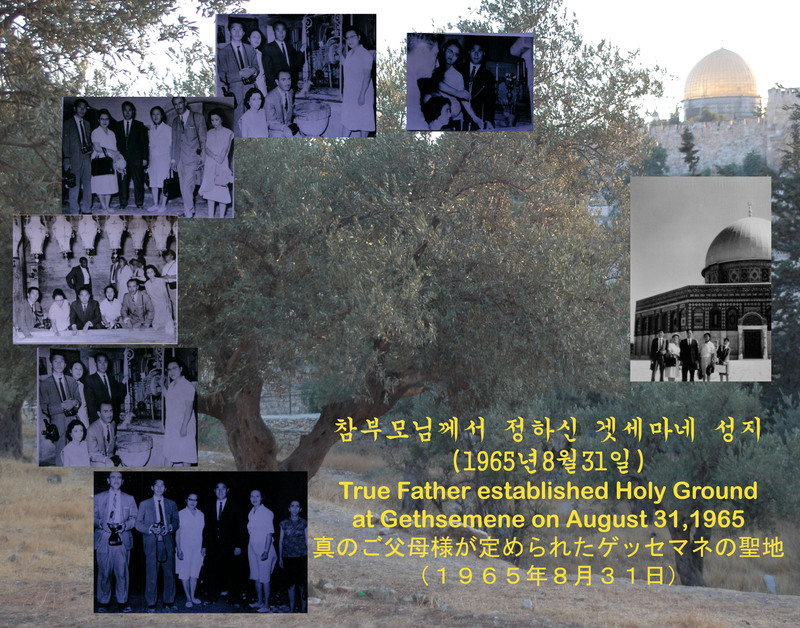 Moon Established two Holy Grounds in the Holy Land on his first world tour on August 31, 1965. "Forgive, Love, Unite" was the Call - but America was not yet ready to heed it. Rev. Moon Gives a Message to a Christianity in Crisis. The Rev. 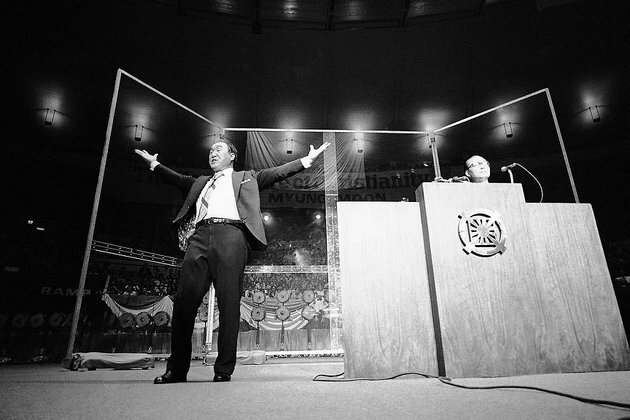 Sun Myung Moon gestures to capacity crowd of 2000 on Wednesday, Sept. 19, 1974 in New York's Madison Square Garden, where he preached for the rebirth of Christianity. His appearance was part of a 40-city U.S. tour this year. Regardless of the number of times he was unjustly imprisoned. Rev. 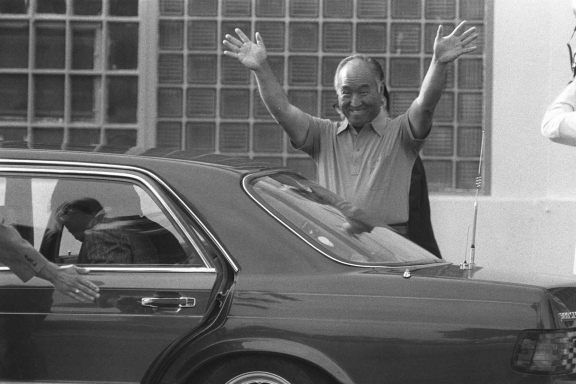 Sun Myung Moon smiles and waves on July 4, 1985 as he leaves the Federal Correctional Institution in Danbury, Conn after serving 13 months of his 18-month sentence for tax evasion. He served out the rest of his sentence at a halfway house in Brooklyn, N.Y.
For Rev. 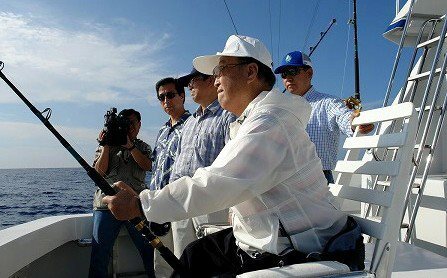 Moon fishing was more than a passionate hobby. It was a testament to a way of life, in overcoming obstacles and preparing spiritual foundations. The Ocean is the hope of the future and a pure environment for communing with God. Rev. 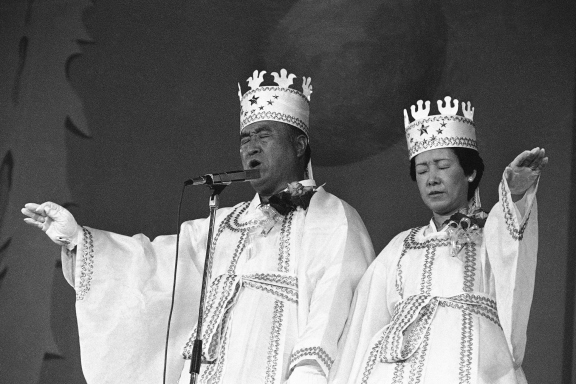 Sun Myung Moon, left, and his wife Hak Ja Han, are shown during the traditional invocation of a blessing at a mass wedding in Seoul's Chamsil gymnasium where 6,000 couples from about 80 countries were married on Oct. 14, 1982. Couples and believers from around the world participate in a mass wedding ceremony arranged by the Rev. 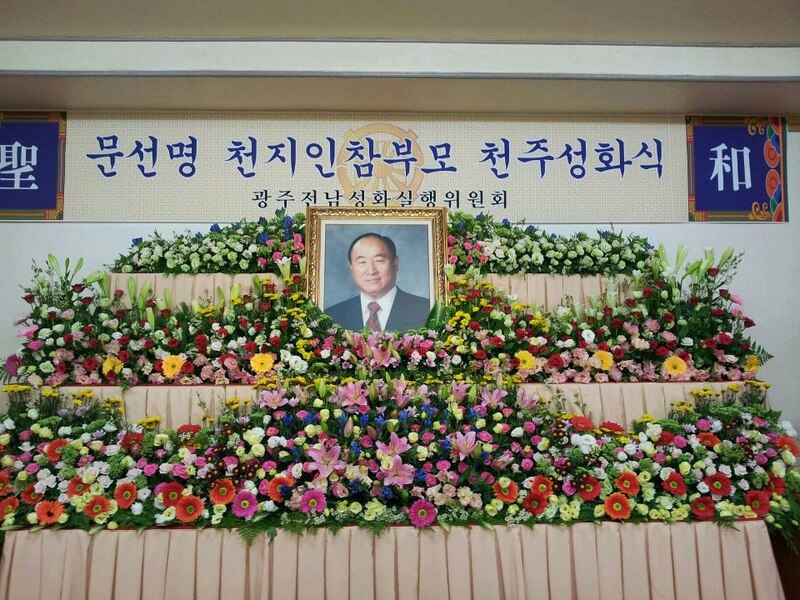 Sun Myung Moon's Unification Church at Sun Moon University in Asan, south of Seoul, South Korea, Oct. 14, 2009. Always Joyous Occassions, Rev. 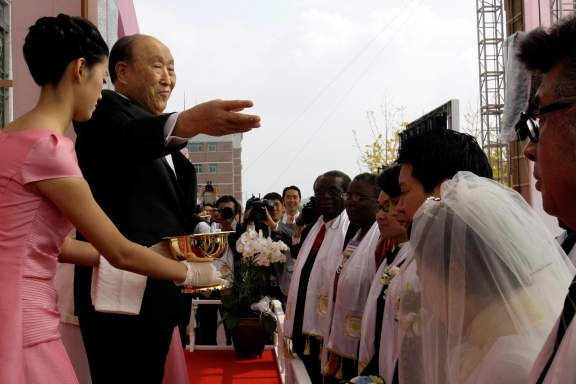 Sun Myung Moon sprinkles holy water during mass wedding ceremoniesas at Sun Moon University in Asan, south of Seoul, South Korea, Wednesday, Oct. 14, 2009. The Universal Ballet was founded in 1984 through his love of the arts. 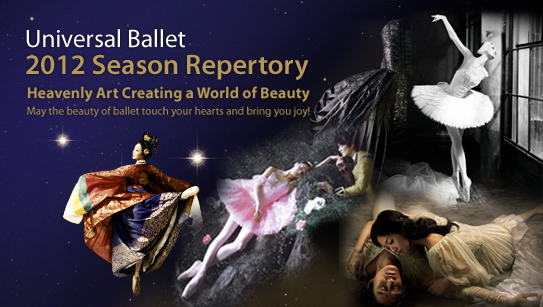 The Universal Ballet embodies the blending of the grace and harmony of Asian thought and culture with the strength and beauty of western classical ballet. 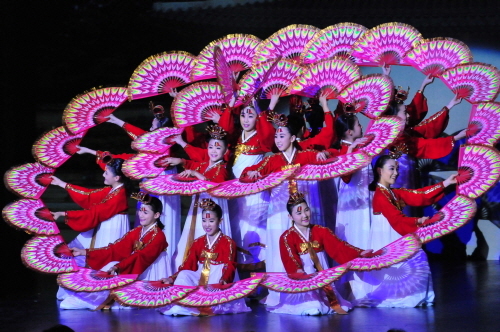 'The Little Angels’ children’s folk ballet of Korea on a 16-nation tour to honour the veterans of the Korean War from those countries who came to Korea's defence in 1950 and to mark the 60th anniversary of the beginning of the Korean War. The purpose of the world tour was to convey the still-passionate gratitude of Rev. Moon and the Korean nation to those 16 countries that sent troops to the 1950–53 conflict, saving Korea from the grip of totalitarianism. The Rev. 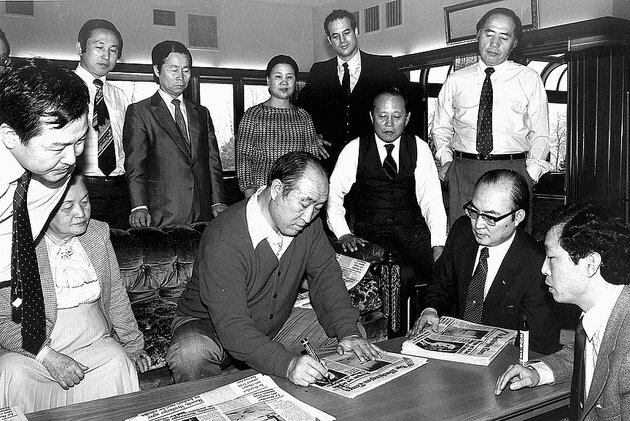 Sun Myung Moon autographs an early edition of The Washington Times with supporters. Rev. 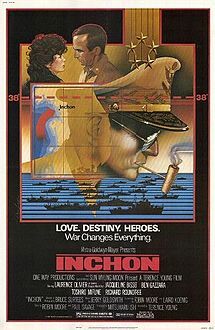 Moon's Passionate Determination yo save the World from Communism Inspired him to create The Washington Times in 1982. Rev. Moon, the great Anti-Communist and Pres. 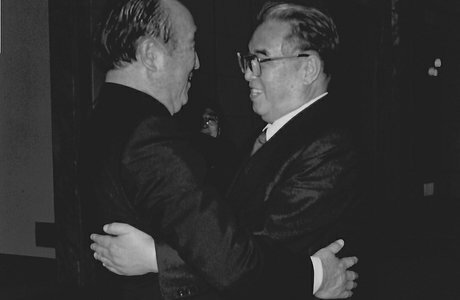 Kim Il Sung, the Father of "Juche" Embrace proclaiming "Blood is thicker than water" and a mutual love for Korean potato soup. On August 30th, 2015, people from all over the world commemorated the life and legacy of Rev. 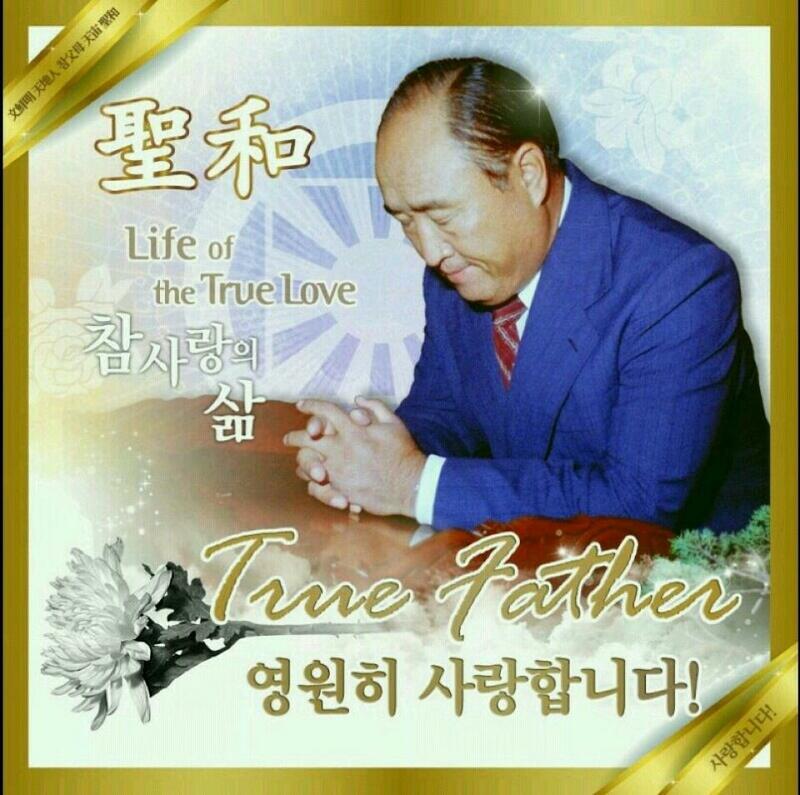 Sun Myung Moon. The third anniversary of his ascension into the spirit world. For many, his spirit is still very much alive and spiritually present, as his legacy continues to touch lives and his words continue to guide and inspire. “How long, O Lord? Will you forget me forever? How long will you hide your face from me? How long must I take counsel in my soul, and have sorrow in my heart all the day? How long shall my enemy be exalted over me? In the Confucian culture, children were expected to mourn a deceased parent for three full years. The elder son would take the lead, ideally by building a shack next to the parent’s grave and paying daily visits. Nevertheless, when the mourning period was over, it was time for all the children to move on with their lives, doing the best to bring their parent’s vision into reality and to make their legacy substantial and enduring. Rememberances of the Ascension of the True Parent of Heaven, Earth and Humankind"
Our beloved True Father who came to this earth as the Savior of humankind, the Messiah, the True Parent and the King of Kings and who lived a holy life of true love throughout his 93 years, shedding blood, sweat and tears for God's liberation, the salvation of humankind and world peace, having concluded, completed and perfected his providential mission, ascended into the spirit world at 1:54 AM, 7.17 in the 3rd year of Cheon-gi - the heavenly calendar(September 3, 2012) at the Cheongshim International Medical Center. He was surrounded by True Mother and the True Children. 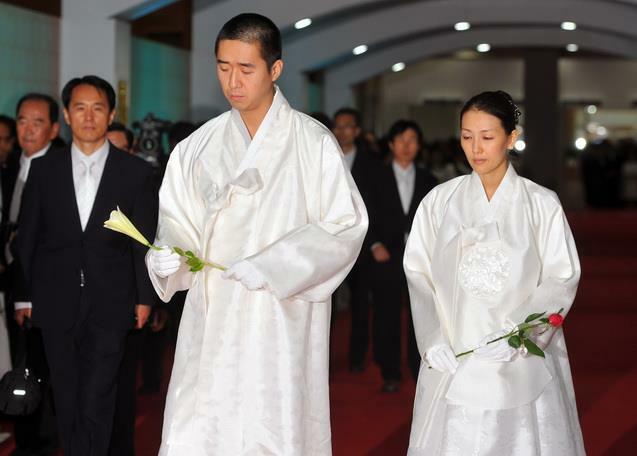 Thousands of the Membership, both old and young, arrive from around the world to Cheongshim World Center to offer devotion and a traditional gift of flowers. 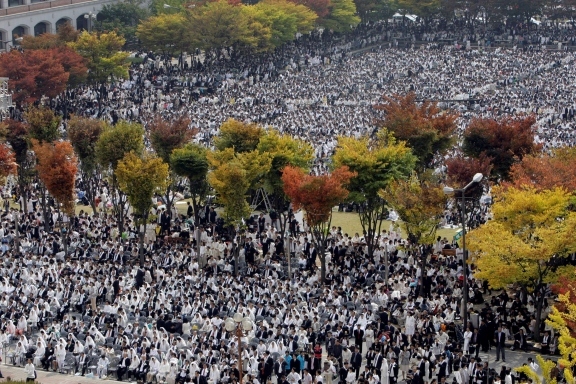 Elected leaders, diplomats, clergy and academics from Korea and abroad are among 15,000 mourners who have gathered on Sept. 6, 2012 to pay their respects to Rev. 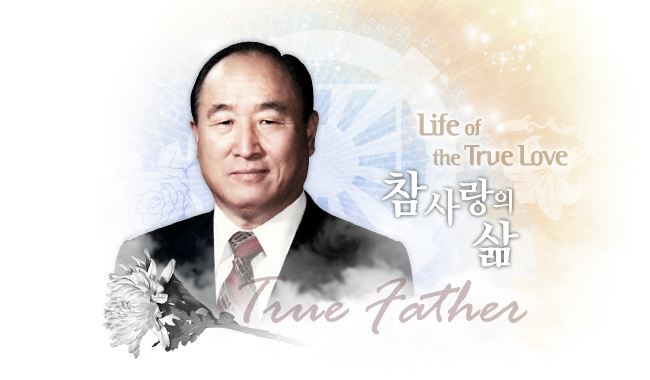 Sun Myung Moon, the Founder of the Unification movement, according to a press release from the Tongil Foundation in Korea. The visitors gathered at the Cheongshim Peace World Center, a stadium complex in Songsan-ri, Seorak-myeon, Gapyeong-gun, Gyeonggi Province. Rev. Moon’s body lies in state in a shrine at the Cheon Jeong Gung palace a short distance away on a mountain overlooking Cheonpyeong Lake. The official visitors were welcomed by Rev. 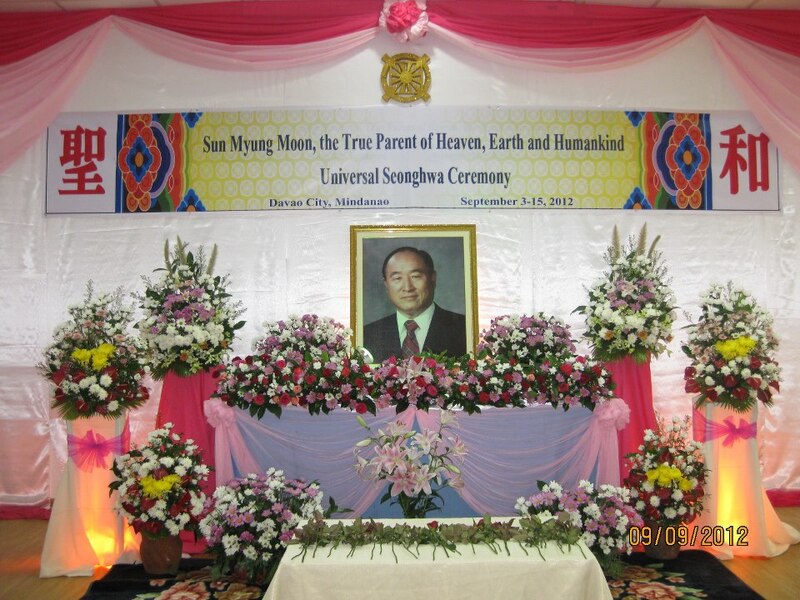 Hyung Jin Moon, who began proceedings at 8:00 a.m., after which approximately 15,000 disciples and friends of Rev. Moon from all fields of life filed into the shrine to give thanks and to pray. These included 3,000 Japanese visitors came to pay their respects on this day alone. 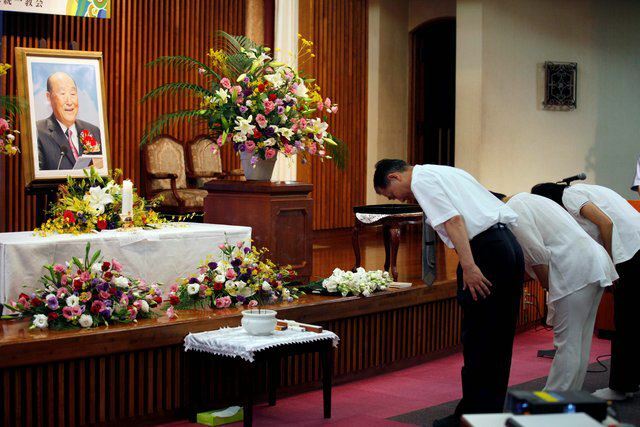 The Unification Church has also prepared shrines in regional church Headquarters buildings across Korea, as well as in mission countries worldwide, for guests to come and pay their respects. 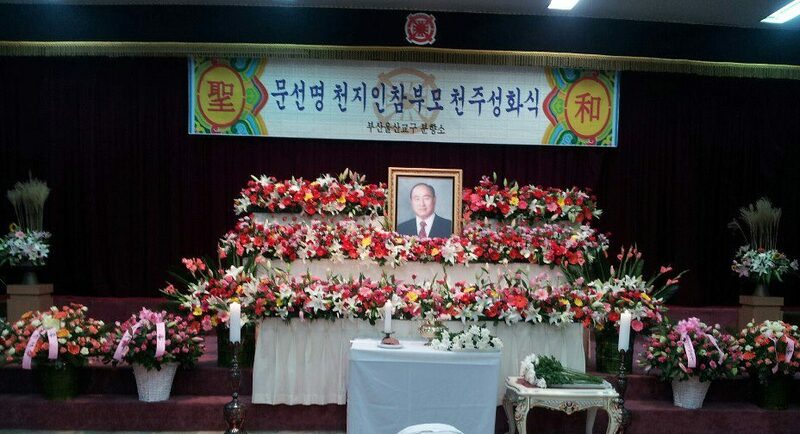 Numerous floral tributes expressing the condolences of various VIPs from Korea were on display in the shrine. 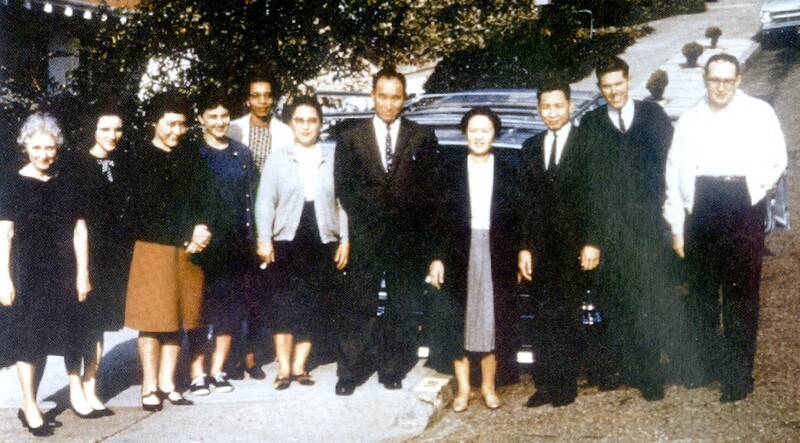 Floral arrangements arrived from current heads of state, including President Lee Myung-bak, President Dioncounda Traore of Mali, President Johnson Toribiong of Palau and Prime Minister Ahoomey-Zunu of Togo, as well as former heads of state including former President Alfred Moisiu of Albania and former President Julio Maria Sanguinetti of Uruguay. Korean political leaders sending flowers included National Assembly Speaker Gang Chang-hee, Finance Minister Bahk Jae-wan, Unification Minister Ryu Woo-ik, Food, Agriculture, Forestry and Fisheries Minister Seo Gyu-ong, Floor Leader Lee Han-gu of Hannuri Party, and Chairperson Han Seon-gyo of Culture, Sports, Tourism and Broadcasting Committee. Korean lawmakers who were present at the stadium included National Assemblyman Lee Jae-oh of the Grand National Party, National Assemblyman Jeong Byeong-guk of the Grand National Party, and National Assemblyman Kim Seong-gon of the Democratic United Party. Religious leaders paying their respects included Chairman Lee Hee-ho of Kim Dae-jung Peace Center, Head Executive Park In-gong of the Taego Order of Korean Buddhism, Spiritual Patriarch Dorim Beopjeon of the Jogye Order of Korean Buddhism, and Head Executive Lee Hong-pa of the Gwaneum Order of Korean Buddhism. Leaders of commerce and industry included Chairman Yeo Sang-rak of SGI Korea (Foundation), CEO Shin Gyeok-ho of Lotte Group and CEO Cho Yang-ho of Hanjin Group. 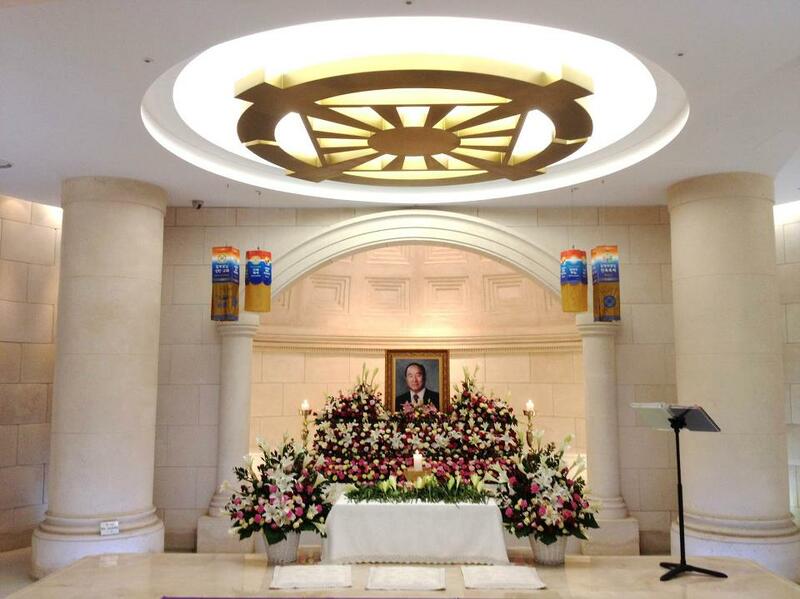 The shrine prepared at Cheongshim Peace World Center was also visited Sept. 6, 2012 by members of the Seongnam Ilhwa Football Club, including Coach Shin Tae-yong and the Universal Ballet Troupe, who came in groups to pay reverence. 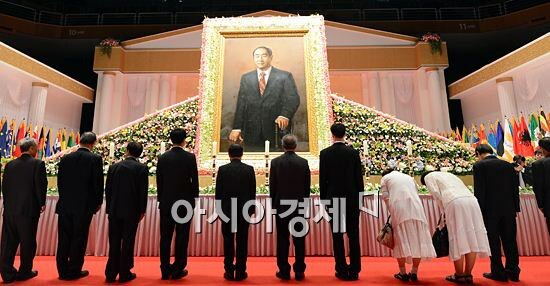 Afterwards, Vice Chairman Kim Min-ha of the National Unification Advisory Council and former Director Yim Chae-jin of Public Prosecutions among other important personages came to pay their respects as well. 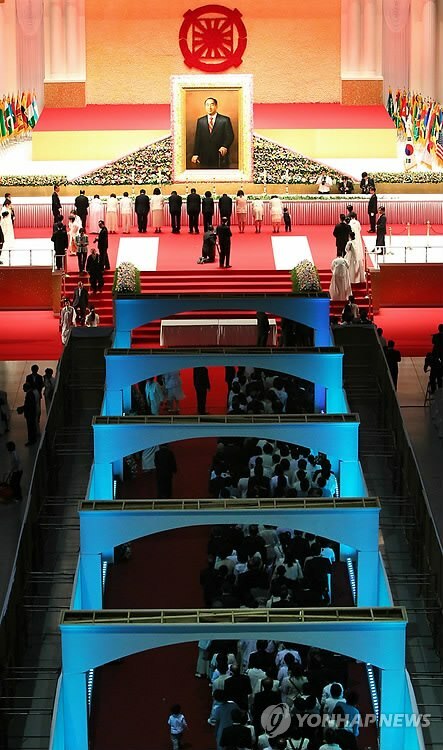 The Cheongshim Peace World Center, where the Ascension (Seonghwa) will also be held, will receive guests to pay their respects until the Sept. 14, 2012, from 8 a.m. to 10 p.m. (6 p.m. on Sept. 14, 2012). Rev. 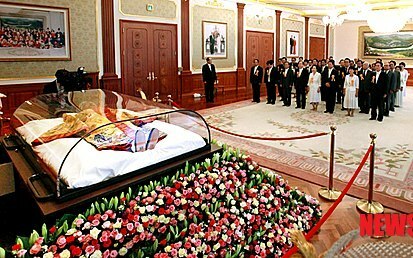 Moon’s residence and final resting place, known as the palace at Cheon Jeong Gung, where his holy remains lie in state, will be opened for three days from Sept. 9, 2012 until Sept. 11, 2012 to both believers and non-believers who would like to say goodbye to him and offer condolences to his family. During the wake, the body of Rev. 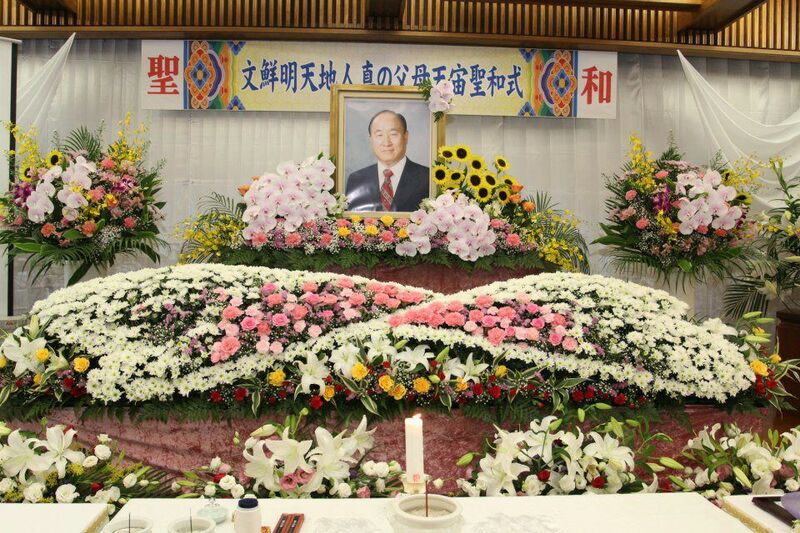 Moon is kept in a glass coffin under low temperature and enshrined in Cheon Jong Gung, where is the memorial museum of unification church. After the casket ceremony on 14, he will be transferred to Cheongshim Peace World Center where the funeral will be held on 15. There are 82 advisors in Seonghwa committee who are Ven. Jaseung, executive chief of Jogye Order, Mr. Cheolseung Lee, chairman of Elders meeting of Parliamentarians' Society, Mr. Soosung Lee, former Prime Minister, Mr. Heetae Park, former National Assembly Speaker and so on. And Hong-gil Go, Special Affairs Minister, Mr. Jiwon Park, floor leader of Democratic United Party, Mr. Sunkyo Han, chairman of National Assembly Committee on culture, sports, tourism, broadcasting and communications and more are included as members of Seonghwa Committee. 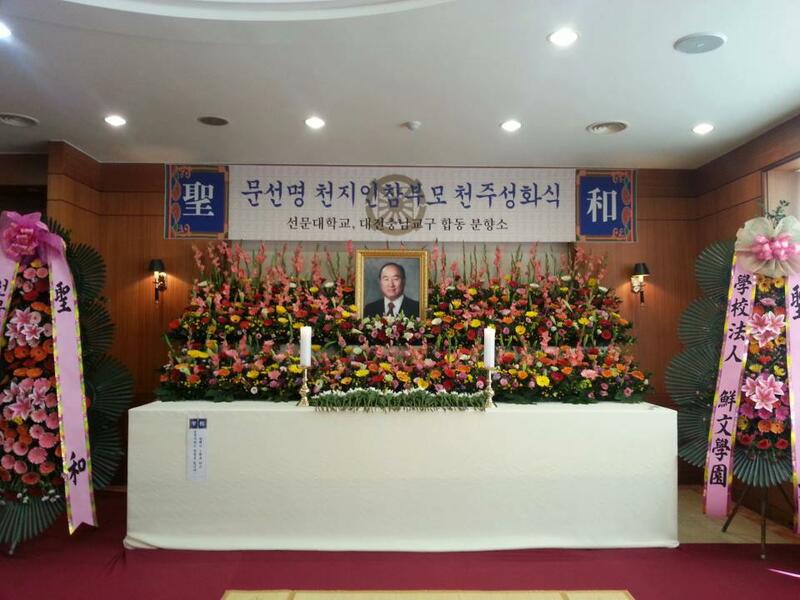 Unification Church Officials have said "(the funeral) goes through three steps which are Gwi Hwan ceremony - the deceased leaves the family and go to the Spiritual World, Seong Hwa ceremony - for the spirit to move on to the Heavenly Realm, and Won Jeon Ceremony (原殿式) (which may be translated "returning home to the palace") at the Paju Won Jeon, the location of the True Family burial grounds. Jan. 6 Lunar Calendar (February 25, 1920) — Born as Yong Myung, one of 13 children, to Kyung-yoo Moon and Kyung-gye Kim in Sangsa Ri village in Pyongan province, now part of North Korea. His family had been wealthy, educated farmers, but had fallen on hard times. Japan had annexed the country in 1910, and Moon elders participated in independence efforts. April 17 — After praying near Mount Myodu, he said Jesus Christ appeared to him on Easter morning and asked him to “take on a special mission on Earth having to do with Heaven’s work.” Overwhelmed, the 15-year-old initially declined, but eventually pledged to do so at the cost of his life. For the next nine years, searched for answers through intense prayer, fasting and Bible studies. March — Traveled to Tokyo to attend a technical school at Waseda University. 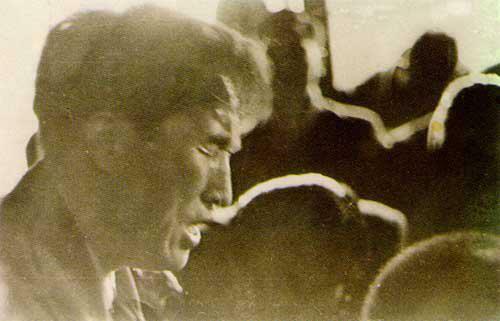 Became involved with Korean independence activities, even though this meant arrests and beatings by Japanese police. Sept. 30 — After graduation, booked passage to Korea on the Konron Maru ferry. However, felt strange leadenness in his feet and a strong premonition not to board the ferry, and went instead on a trip with friends. The Konron Maru was sunk by a U.S. submarine, with more than 500 people aboard. May 4 —Married Seon-Gil Choi, daughter of a prominent Christian family, in a match arranged with an aunt. 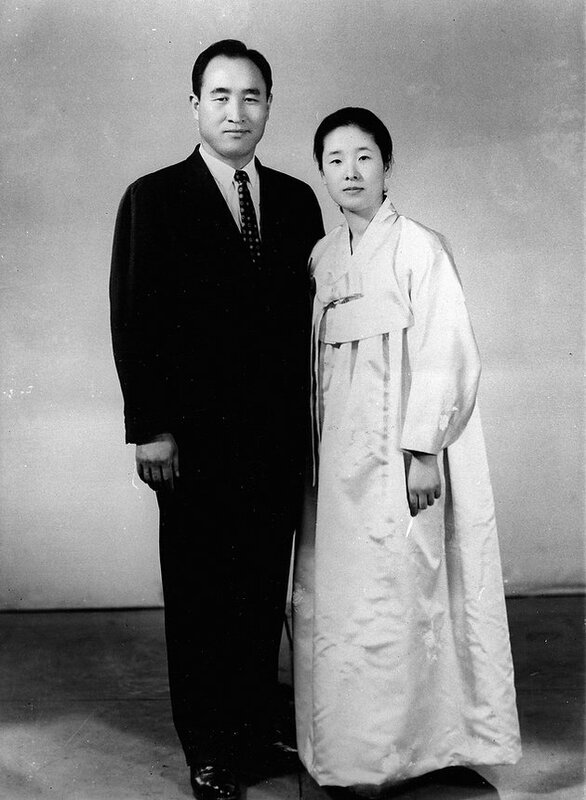 Knowing his mission, he asked Miss Choi several times if she could bear a life with a man with a difficult mission, and she insisted she could. Aug. 15 — Japan’s surrender frees Korea, but the country was divided at the 38th parallel, with North Korea led by atheistic communists. Aug. 11 — Arrested by North Korean police for spying for South Korea, was held and beaten for months. Oct. 31 — After a severe beating, tossed out of the prison into the snow and left for dead. Nursed back to health by followers. Resumed preaching in North Korea, but was viewed as a heretic and threat to Christians, who themselves were suffering communist harassment. February — Arrested on complaints of “disruption of the social order” and sentenced to five years imprisonment. 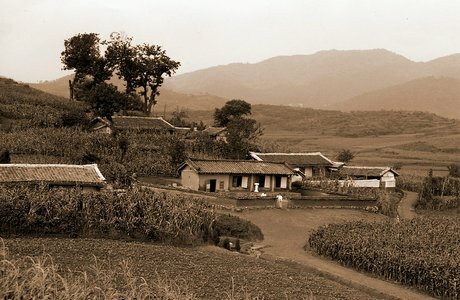 May 20 — Entered Heungnam Special Labor camp, where teams of men had to fill 700 bags a day with ammonium sulfate or be punished. Food was so scarce prisoners would take rice out of the mouths of dead men. 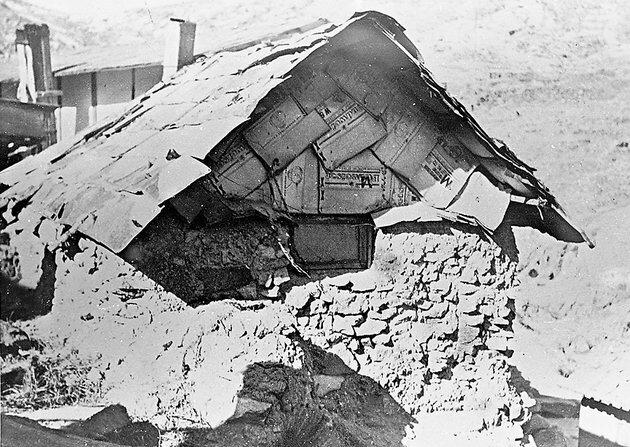 Oct. 14 — Released from Heungnam as guards fled advancing U.N. troops. Walked more than 100 miles to Pyongyang to find his followers. Dec. 4 — As Chinese troops advanced to Pyongyang, began journey south with two followers, one of whom had a broken leg and had to be carried or pushed on a bike. Arrived in Busan refugee camp two months later. 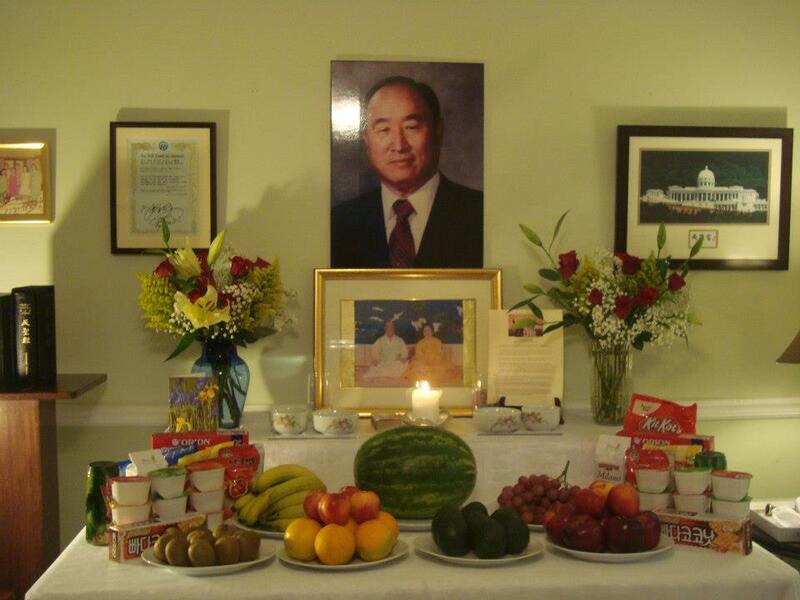 September — Built first Unification Church out of stones, wood and discarded U.S. military ration cartons. Began writing “Divine Principle” in this hut. November — Was reunited with wife, but she did not understand his long absence or his religious mission, and in 1958 she divorced him. March — Formally changed name from Yong-Myung (“dragon”) to Sun-Myung. 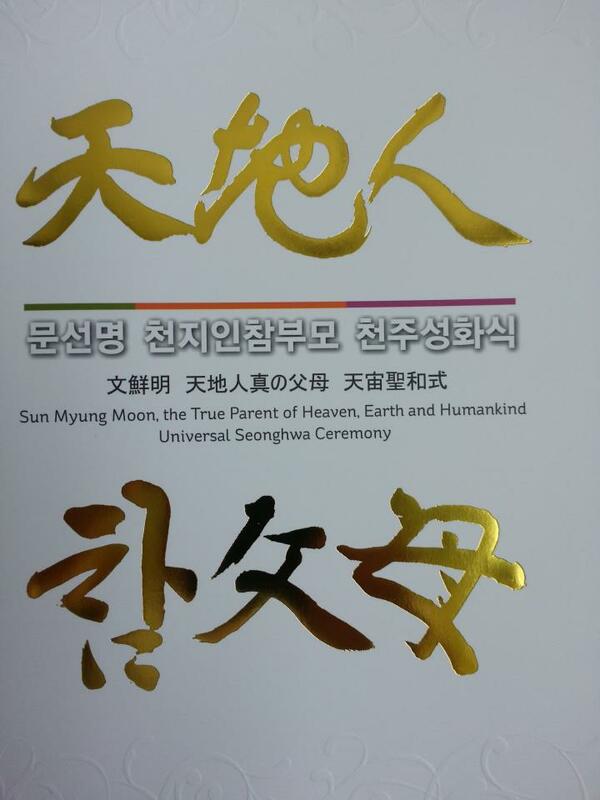 Moon means “truth,” Sun means “to reveal itself clearly,” and Myung “combines characters for sun and moon,” he once explained. May 1 — Founded Holy Spirit Association for the Unification of World Christianity. March — After months of denouncing Rev. Moon’s church, Christian-led Ehwa Women’s University fires or expels 19 faculty and students who refuse to leave the church. 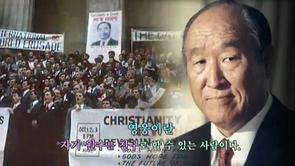 Other Christian-led universities urged President Syngman Rhee’s administration to disband the church. July 4 — Arrested and held for avoiding military draft. Found “not guilty” 93 days later. 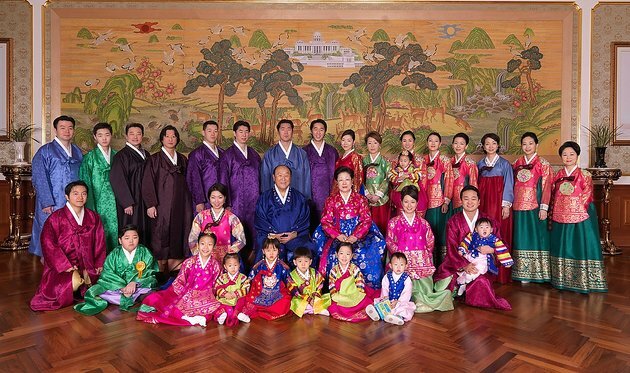 April 11 — Held marriage blessing ceremony with 17-year-old Hak Ja Han as “True Father” and “True Mother.” Five days later, they blessed three more couples. May — Gave the marriage blessing to 33 couples. Over the next decades and up to March 2012, the Moons held dozens of mass weddings, many with tens of thousands of couples, and even hundreds of thousands who participated either at the main ceremony or via satellite in ceremonies around the world. Feb. 12 — Made first visit to United States and created 120 “holy grounds,” as part of first of many world tours. Nov. 30 — Placed ads in major newspapers urging Americans to fast, pray and “forgive, love, unite” regarding the Watergate scandal. 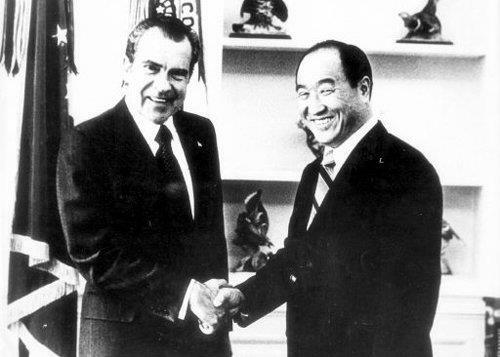 Feb. 1 — Met President Richard M. Nixon. Sept. 18 — Held rally at Madison Square Garden in Manhattan with 25,000 attending. Purchased the Christian Brothers Seminary in Barrytown, N.Y., which became Unification Theological Seminary; in the next two years, purchased New Yorker Hotel; Manhattan Center and Hammerstein Ballroom; Tiffany Building and Columbia Club in New York, and the Belvedere Estate in Tarrytown, N.Y.
Sept. 18 — Held rally at Washington Monument with 300,000 in attendance. Dec. 31 — Launched News World newspaper as a conservative voice in New York. Accused of being an agent of South Korean government in hearings held by Rep. Donald M. Fraser, Minnesota Democrat. 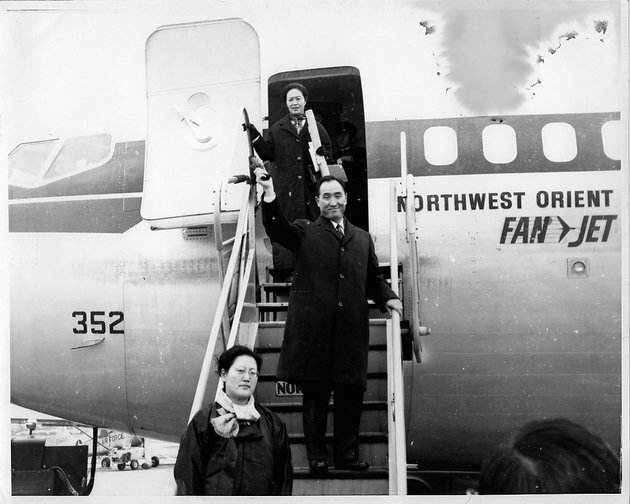 Although Mr. Fraser lost his bid for U.S. Senate in September, his commission issued a report recommending full government investigation into the Unification Church. Was subject of a N.Y. grand jury investigation over tax issues. Created “Ocean Church,” a ministry to build personal character and revive and strengthen boating and fishing industries. This led to maritime activities in Korea, South America, and U.S. locations such as Gloucester, Mass., Hawaii; Alaska; Norfolk, Va., and, in 2012, Lake Mead in Nevada. Created CAUSA International, which conducted hundreds of “Victory Over Communism” conferences worldwide until 1991. Nov. 4 — Predicted on News World’s front page that Ronald Reagan would win election in a “landslide”; Reagan was photographed with the paper at a victory party later that night. Oct. 15 — Notified while in South Korea that he and a church leader were indicted on 13 counts of tax fraud, including not paying $7,300 taxes on $160,000 of church funds kept in a bank account under his name. Returned to the U.S. on the next flight. Oct. 22 — At a rally with clergy and members in New York’s Foley Square, said, “I am innocent. I have committed no crime I am here today only because my skin is yellow and my religion is Unification Church. April 1 — Went to court for tax trial. May 17 — Launched The Washington Times in Washington, D.C.
May 18 — Found guilty of tax fraud by a jury. On July 16, Judge Gerard Goettel sentenced him to 18 months in prison and a fine of $25,000. May 14 — Despite outcry from religious groups over the legal implications of the verdict, the Supreme Court declined to hear the appeal. July 20 — Entered federal prison in Danbury, Conn., with Takeru Kamiyama, who was also convicted. Became famous as a model prisoner, good ping-pong player and praying nightly in the prison chapel from 3 to 5 a.m. Received honorary doctorate from Shaw University, which his wife accepted for him. Aug. 20 — Freed from Danbury prison; attended a welcome-home banquet in Washington, D.C., with 1,700 clergy including the Rev. Joseph Lowery and the Rev. Jerry Falwell. 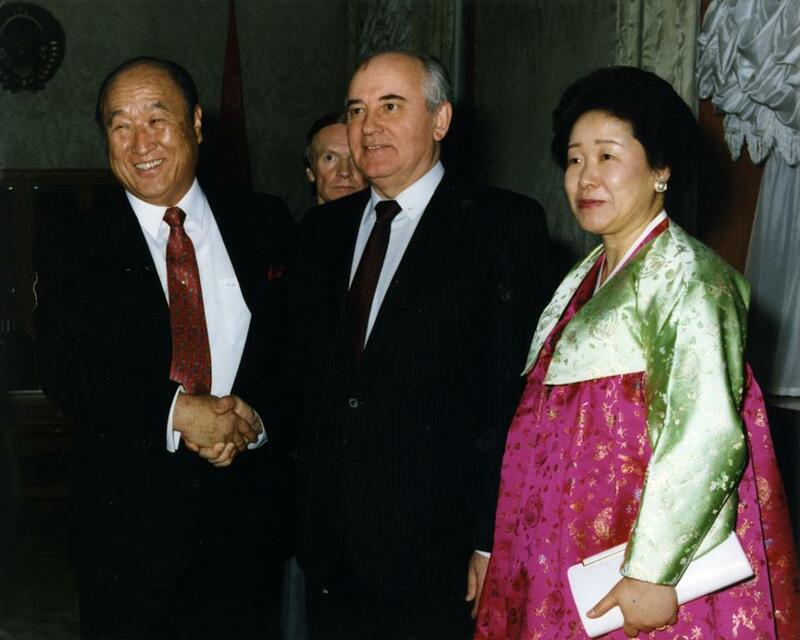 April 10-11 — Spoke in Moscow at World Media Conference, and met with Soviet President Mikhail Gorbachev. 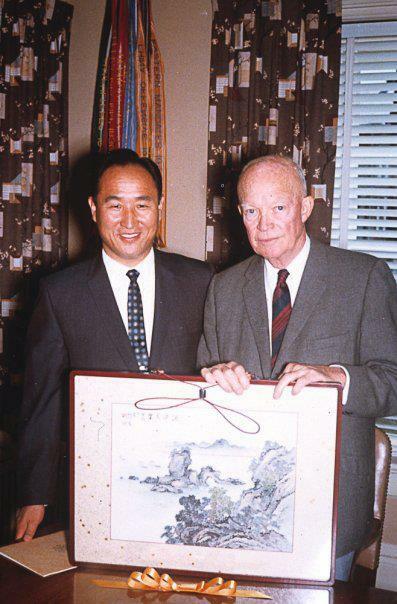 Nov. 30 — Dec. 1 — Traveled to North Korea and met with President Kim Il-sung. Inaugurated the Ambassadors for Peace program. Gave marriage blessing to Roman Catholic Archbishop Emmanuel Milingo and Maria Sung. The Catholic prelate was later excommunicated and started an advocacy group to promote marriage for Catholic priests and nuns. 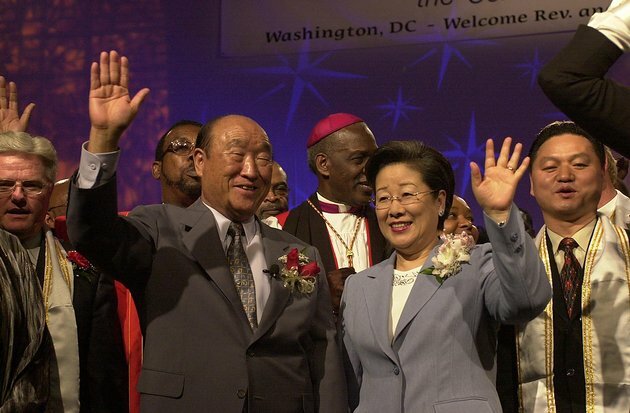 April 27 — Held Blessing ceremony for 144,000 clergy couples in Washington, D.C.
May 20 — Addressed 20th anniversary gala of The Washington Times. June 12 — Hosted inauguration ceremony for the Sun Moon Peace Cup in Korea, with soccer star Pele. 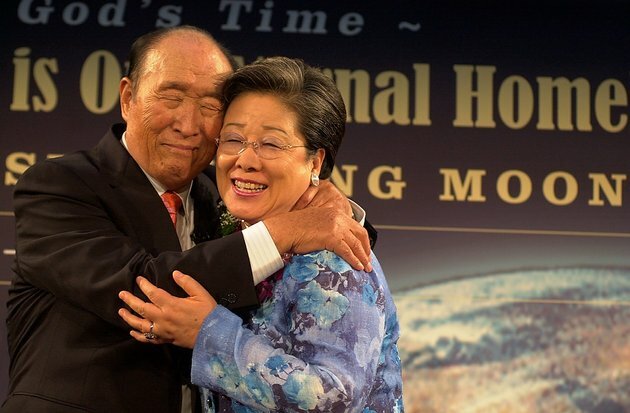 Dec. 15 — Began the process of bequeathing his physical belongings to Unification Church members. Feb. 5 — Held dedication ceremony for Cheongshim Hospital at Cheong Pyeong in Korea.Also holds a ceremony to renew vows with Mrs. Moon. May 12 — Held the first Middle East Peace Initiative, in which clergy of different faiths visit Rome and the Holy Land to discuss peace. March 23 — Held Crown of Peace ceremony at Dirksen Senate Office Building in Washington, D.C.
July 13 — Held rally for unity of North and South Korea with 6,000 Koreans. September — Embarked on a four-month, 100-country speaking tour. A ban on his travel into several European countries is finally lifted, and he visits them as part of this tour. March-April — Attended nine rallies in Korea for the restoration of the homeland. Aug. 31 — Began a 40-day world speaking tour with members of his family. 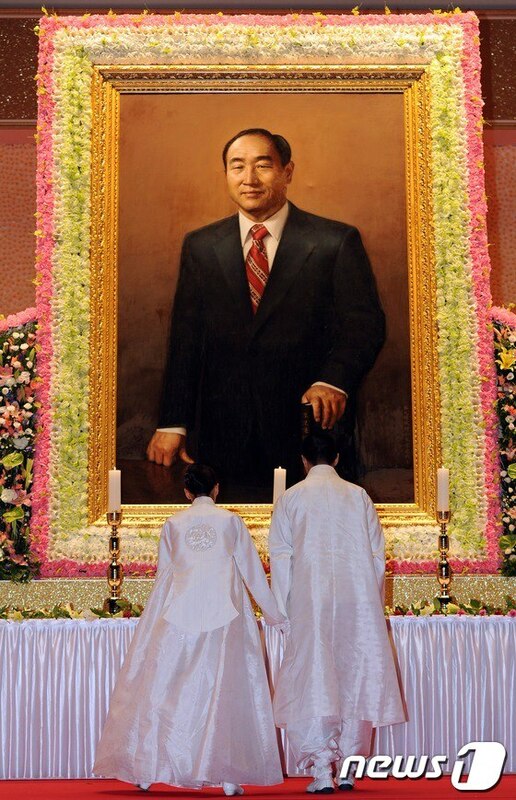 April 18 — Appointed youngest son, Hyung Jin, as international president of the Unification Church. June 19 — Survived a helicopter crash in Korea; he and 15 others, including his wife, grandchildren and others, all escaped with minor injuries before it ignited into flames. 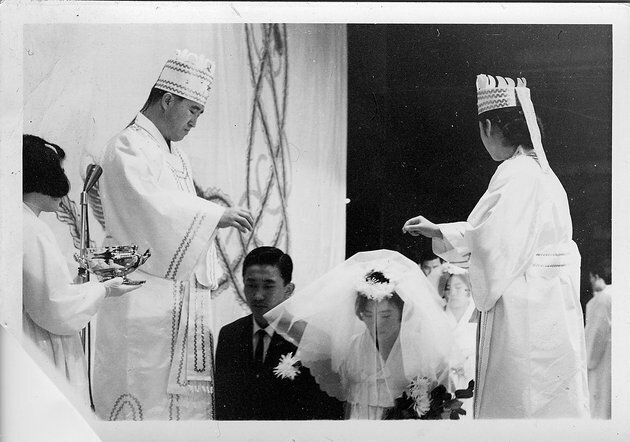 July 29 — Appointed daughter In Jin as head of Unification Church in North America. 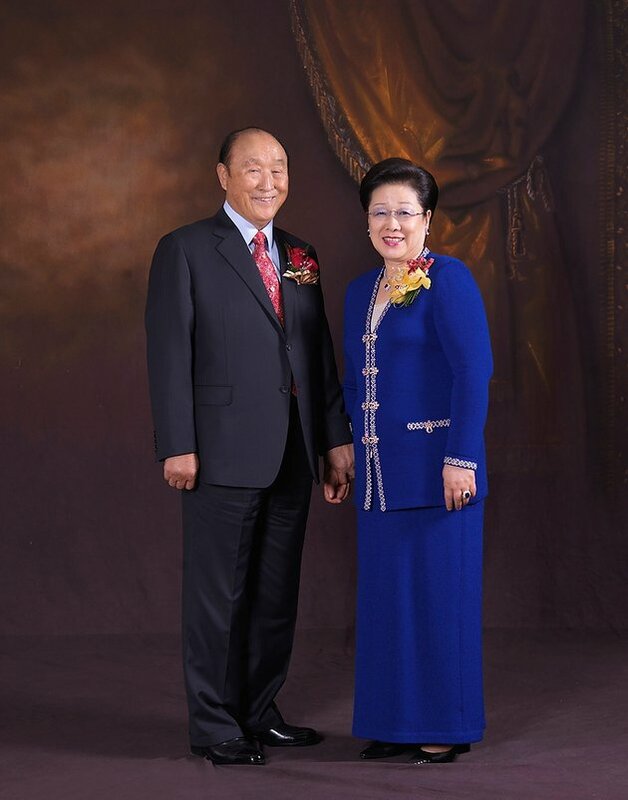 March 9 — Published his autobiography in Korea and held yearlong celebration of 50th wedding anniversary with Mrs. Moon. April-June — Held speaking tour in Asia, Europe and Africa. Unveiled personally designed “Won Mo” boat in Las Vegas. Sept. 2 — Died of complications of pneumonia at the Cheongshim International Medical Centre in the church complex at Cheong Pyeong, South Korea. 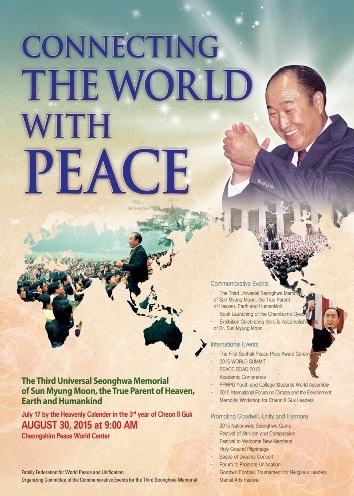 Sources: Today’s World magazine; “SunMyung Moon, The Early Years: 1920-53,” by Michael Breen; “As a Peace-Loving Global Citizen,” the autobiography of Rev. Moon; “Messiah: My Testimony to Rev. 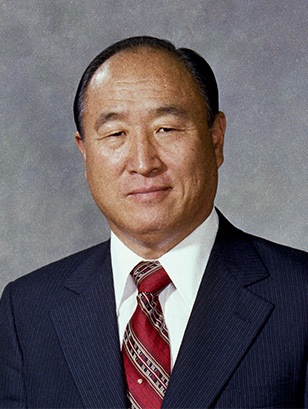 Sun Myung Moon,” Volumes I and II, by Bo Hi Pak; HSA-UWC.